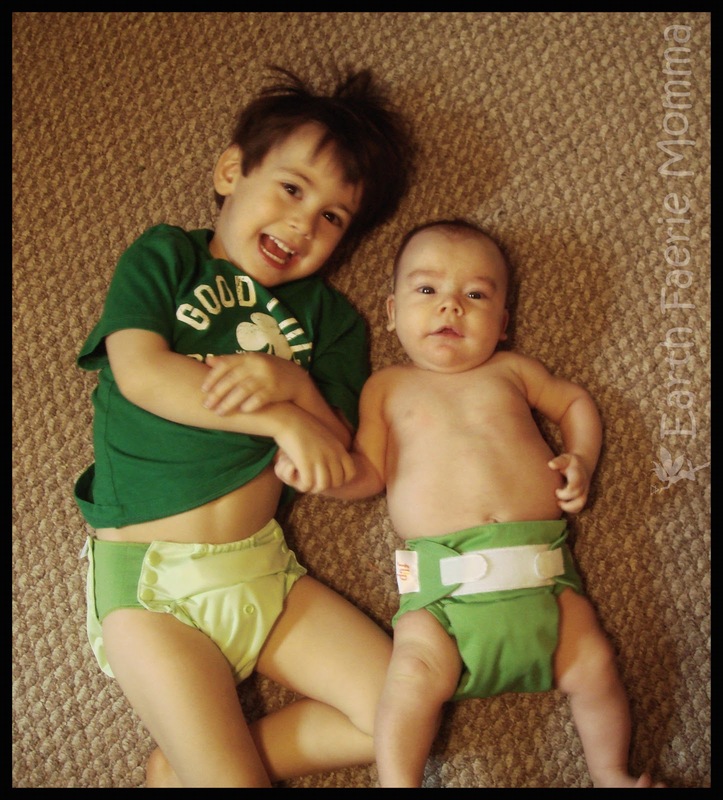 Besides the fact that cloth diapering saves money and is better for the environment, I also have control over what goes on my babies bum. It doesn't seem like an extra chore for me. When I pull out dirty inserts and wash diapers I am happy knowing I am doing the best I can for my baby. I couldn't think of using disposables again. 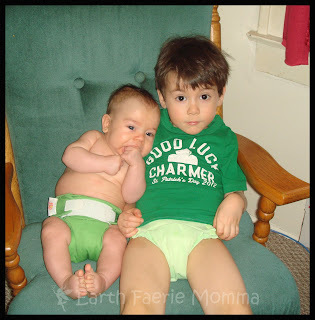 I am currently cloth diapering our second child who is 3 months now. It's going so great that I got some cloth trainers for our 3 year old. Chase has two pairs of super undies and we just got his new flip trainer pack in the mail yesterday. Vallon has a flip cover with organic inserts. The inserts are so soft and absorbent. So, I knew right away that the flip trainer with organic inserts would be great. Here are the boys with their green diapers, just in time for St. Patrick's Day! If you enjoy cloth diapering as much as I do, then show your love and post a picture of your cuties on my facebook page, Earth Faerie Momma!